/ Modified jul 25, 2018 11:01 a.m.
Parents, educators and community members pack the TUSD governing board meeting on July 24, 2018 to hear if the board will continue investigating the role of the district in educating immigrant children held at the Southwest Key facility. 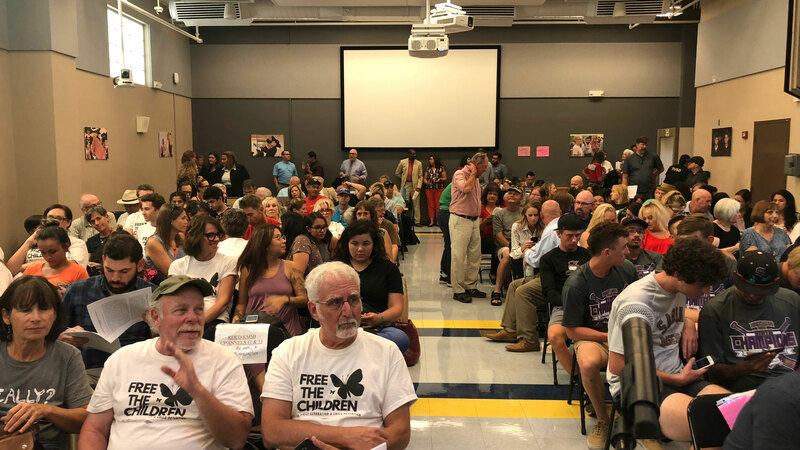 The Tucson Unified School District heard from dozens of parents, educators and community members Tuesday night about their concerns regarding the hundreds of immigrant children housed at a facility inside TUSD boundaries. The governing board voted unanimously to research education services the district might provide the nearly 300 migrant children, aged 4 to 17 years old, who are housed at the Southwest Key facility on Oracle road. "The five of us here don't always see eye-to-eye. We are at polar ends of a lot of things," board member Kristel Ann Foster said. "This evening we put kids first. We really put the children first." The TUSD Governing Board did not discuss whether it is required to educate the students who are being housed in the district but are not enrolled in district schools. 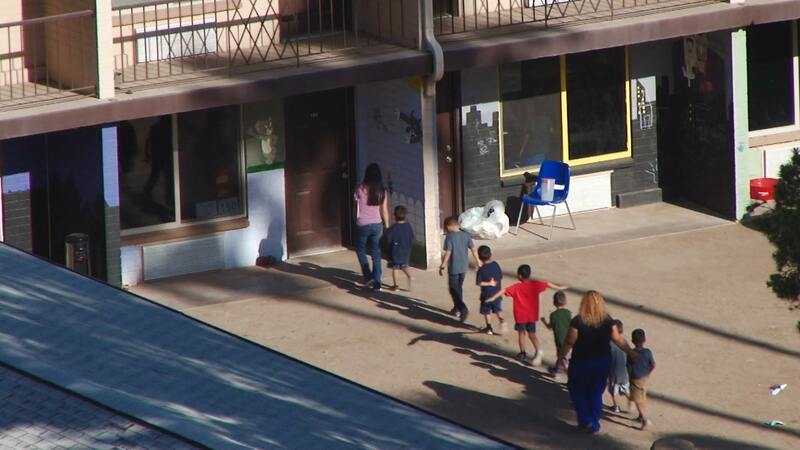 Children seen on the grounds of the Southwest Key facility in Tucson, Arizona, July 7, 2018. Recommendations from the governing board will be discussed at the Aug. 14 board meeting. Foster, who proposed the agenda item last night, attended a Free The Children fundraiser earlier in the month, where she asked whether the district is responsible for educating the hundreds of children at the Southwest Key facility. "It made me think: We service children who are in group homes. We service children in foster care, Youth On Their Own," Foster said. " I don't understand why we wouldn't have a right or a responsibility first, and then the responsibility to offer education services." At Tuesday night's board meeting, Foster referenced the 1982 Supreme Court decision Plyler v. Doe, which struck down a state statute that denied funding for the education of undocumented children. The legality of the situation leads to a very complex legal question about who is responsible: the federal government or the local government, says Billy Peard, a staff attorney with the American Civil Liberties Union. "Certainly, TUSD under most circumstances provides K-12 education without question to anyone who can demonstrate they reside within the boundaries," Peard said. " Unquestionably, these kids do, in my view, reside in the boundaries in TUSD during the time that they're here."